Last night&apos;s Nike Doernbecher Freestyle unveiling in Portland not only provided us with a first look at this year&apos;s sneaker collection, but a few unexpected gems as well. Among them, an ultra-rare pair of Air Jordans that was auctioned off for charity. 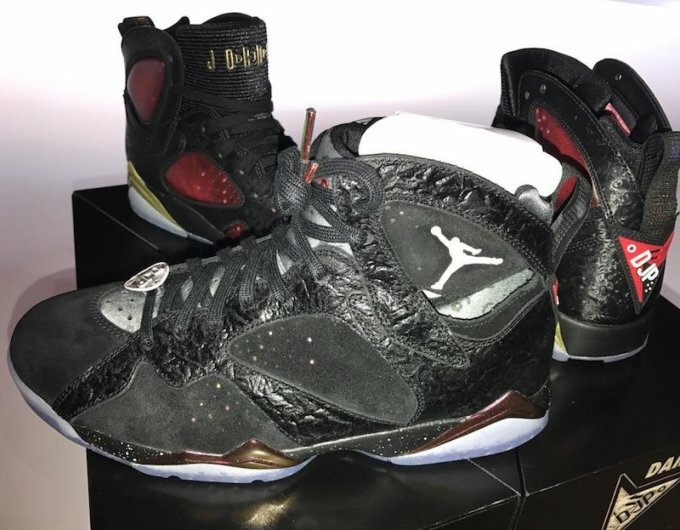 In addition to a pair of Damien Phillips&apos; Doernbecher Air Jordan 7 signed by Michael Jordan himself, an alternate version of the design limited to just two pairs was auctioned off to raise additional funds for the hospital. Together, the pairs fetched $46,000, a Doernbecher event record. The alternate version of Phillips&apos; design sees the shoe reinterpreted in mostly black leather and suede. As of now, there are no plans to release additional pairs to the public.